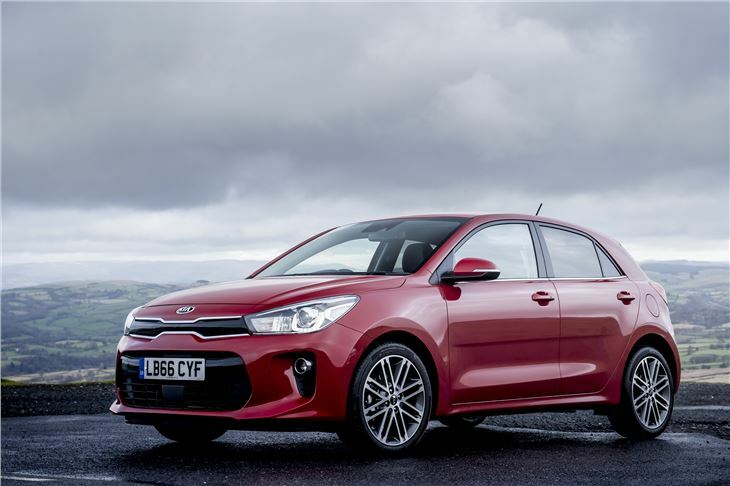 The 2017 KIA Rio is the fourth bodystyle of KIA’s Fiesta substitute, arriving a mere five and a half years after the last one. The 1.1 litre 3-cylinder diesel has gone. 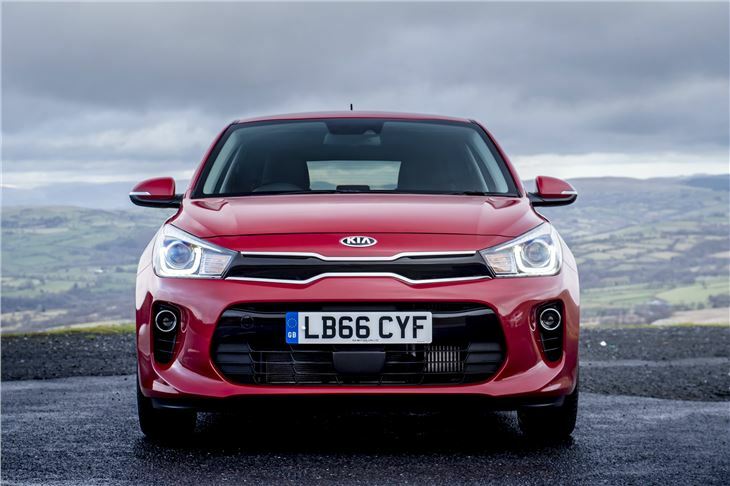 The 1.4 litre 4-cylinder diesel has been improved, now offering an NEDC combined 80.7mpg and 92g/km CO2, though that’s not so relevant from April when all new cars under £40,000 start being taxed at a uniform £140 a year. 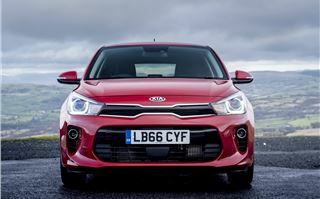 There’s a 100HP 1.4 petrol 4-speed torque converter automatic, and an 85HP 1.25 petrol. But the fun starts with a pair of 999cc 3-cylinder turbo petrol engines putting out 100 and 120HP. Though the roofline of the new Rio is marginally lower then its previous incarnation, there is more room inside and, with an optimistically named ‘tyre repair kit’ instead of a spare wheel, the load area is increased to 325 litres, which is about the same as in a Focus. Inside, hard thick plastic abounds rather than soft-feel luxury. That doesn’t mean the trim is lower quality, it shows it’s built to last. In ten years time it won’t be wrinkled and broken with orange stuffing poking out of the cracks. A stiffer body shell enhances safety by keeping the passenger cell intact in a crash while front, rear and side crumple zones absorb impacts. The car feels very well built and solid. Combined with suspension improvements the stiff body also improves the handling. ‘Straight Line Stability’, standard across the range, senses any difference in brake pressure between the right and left of the car and intervenes to keep it straight, while ‘Cornering Brake Control’, counters loss of traction when slowing in tight curves. All Rios also have Hill Assist Control to prevent the car from rolling backwards when setting off on steep inclines. Rios from grade 2 (from £13,745) are the first cars in their class to get radar and camera controlled Autonomous Emergency Braking with pedestrian recognition. At speeds between 5mph and 50mph the Rio will come to a complete stop, avoiding collisions with other vehicles and with people. As expected, higher grade Rios come loaded with all the latest tech, including TomTom satnav, Android Auto and Apple CarPlay smartphone integration. 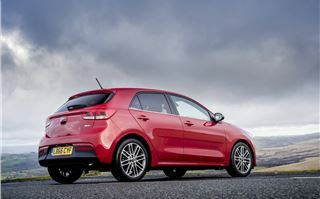 KIA Connected Services are accessed via the 7-inch touchscreen giving live traffic updates, weather reports, speed camera locations and local point-of-interest searches. Rios available for test-driving were a grade 3 90HP 1.4CRDI, a grade 3 100HP 1.0T-GDI, and a First Edition 120HP 1.0T-GDI, so all of them had all the tech kit. The 90HP 1.4CRDI is perfectly adequate for disinterested drivers who put fuel economy at the top of their list of priorities. On the NEDC cycle it does 75mpg, giving a realistic expectation of 65-70mpg over distances on free-flowing roads. 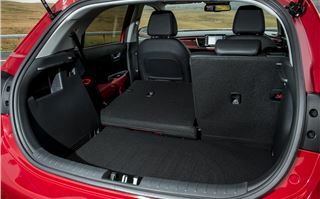 It’s comfortable enough, rides reasonably well and the equipment gives the driver plenty to derive pleasure from. Add the 7-year warranty and heads rule hearts. Happily, that doesn’t mean that the Rio needn’t be fun. 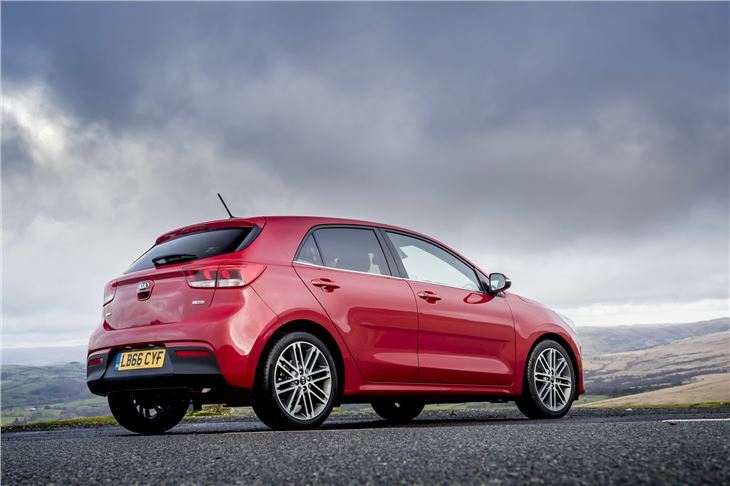 The 100HP 1.0T-GDI is altogether perkier and much more enjoyable to drive. It’s not quite as sporty as a Fiesta or as well integrated as a Mazda 2, but it’s so quiet most of the time all you can hear are the tyres. Then, if you rev it, you get an enjoyable, uneven 3-cylinder roar. As well as that you should be seeing high forties, low fifties miles per gallon. We saved the best until last: the 120PS 1.0T GDI First Edition 6-speed. 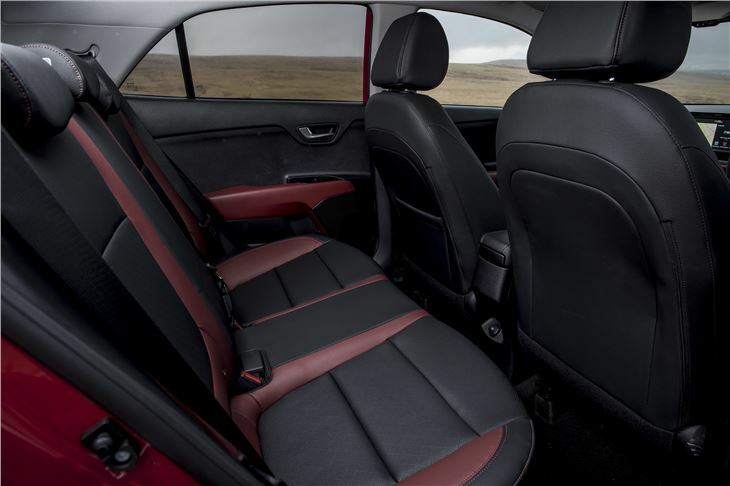 As well as an anodised matt red dash to cheer up the interior, the extra 20HP and the extra gear are enough to put a smile on your face. 0-60 in under ten seconds isn’t hanging about either, but we couldn’t push the 205/45 R17 tyres hard because of the cold and greasy state of the roads. Even enjoying ourselves, the meter read 42mpg, so it’s probably good for 50mpg in everyday driving. 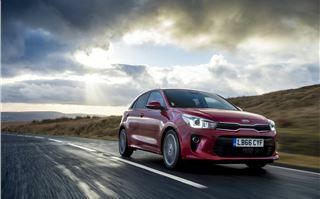 The new KIA Rio is up against stiff competition, including the Suzuki Baleno, new Citroen C3, new Nissan Micra and the forthcoming new Fiesta and Ibiza. It’s solidly built and exceptionally well equipped. It’s economical, or fun, or a bit of both. And if you’re still dithering, the clincher is KIA’s excellent 7-year warranty.